Ontario and British Columbia teams faced each other in the men’s and women’s senior championships, and the provinces had to settle for a split. On Sunday, Scarborough GS United got an extra-time goal from Laura Callender to give the Ontario champs a 1-0 decision over Surrey United in the Jubilee Trophy final. 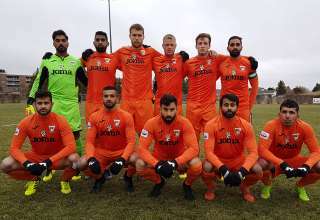 On Thanksgiving Monday, in snowy and windy Saskatoon, led by ex-Toronto FC man Nick Soolsma, the Surrey BC Tigers Hurricanes (I think I a “Tiger Hurricane” is kinda like a Sharknado, except with tigers) absolutely romped over Caledon SC. Soolsma scored four and set up two more in a 7-3 win. Surrey went out to a 4-0 lead at halftime, and those four goals came into the teeth of the wind in Saskatoon. Ryan Dhillon got his first of two when Soolsma got to the end line, then was able to poke the ball in front of goal for his Surrey teammate. Soolsma made it 3-0 with a great free kick, then 4-0 after converting the penalty that he drew. 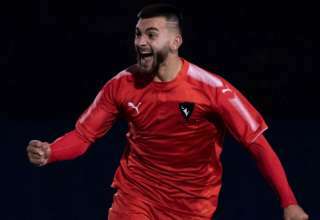 Soolsma scored just seconds into the second half to get his hat trick, then added a fourth when he chipped the keeper after finding himself on a clear breakaway. Soolsma, late in the game and part of a two-man break, chose to set up Ray Dhillon’s second rather than score his fifth. It was an absolute blowout, and Soolsma was denied a couple of times by Caledon keeper Matthew Grant. Really, the former Red could have had more than his four-plus-two. It was as dominant a performance by a single player in a men’s amateur senior final that I can remember. He’s the first person to score four goals in the final since 1962, and only the third to do it in the history of the trophy. And, of course, that spurs my annual call that the Challenge Trophy winner get a spot in the Voyageurs Cup. 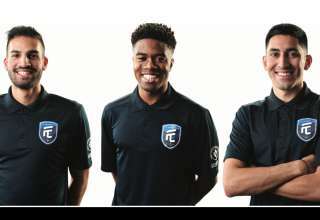 With the addition of Canadian Premier League teams next season to join the PLSQ and League1 Ontario entrants, a case is there for the men’s senior amateur champs as well. After all, everyone loves an underdog story — and Cups are all giving the less-fancied teams a chance in the spotlight against the professional big boys. The Jubliee final didn’t feature nearly the amount of fireworks as the Challenge Trophy final did. Scarborough’s extra-time winner was a strange one. Long-throw specialist Vonya Beckles hurled the ball into Surrey’s penalty area. It went off of a couple of heads, pinballed over the keeper’s arms and off the bar, and fell to Callender to stick into the open goal.